While playing around with foundation colors, pencil bases and other such make-up making fun things, I decided to put together a quick lip and cheek tint stick. The chunky-sized balm containers I ordered from a new supplier just arrived. 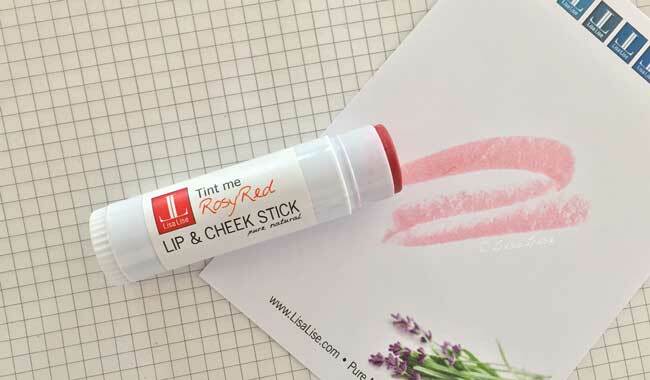 The last time I made one of these tint sticks (link below), I went a titch overboard with the addition of color and ended up with a very intense red that was beautiful on the lips – but not really ideal for cheeks (unless one is looking for that 'overdone clown' look). In keeping with the recent successful foundation stick making method (link below), I merely measured up a bit of pre-made lip and eye pencil base, melted it, added a bit of red mica pigment and it was ready to go. The color this time was perfect! Why? Because I used red mica. Always test color before pouring! While the mixture is warm/melted, dip a small metal spatula into the mixture, apply to your skin and check the color in natural daylight. Adjust the amount of pigment until you are happy with the color. When you're happy - and not a moment before - transfer the mixture to your preferred container. Here's the product shortly after it solidified. As you can see, there's a bit of a hole up top there. The amount of base used was not enough to fill the container. Apparantly these newly arrived containers hold a few more ml more than my previous chunky balm containers. Still - it really works like a charm - tint - not intense color.